This isn't a book review today. No, HBIC is heading back to the division previews as we break down the Atlantic Division today. 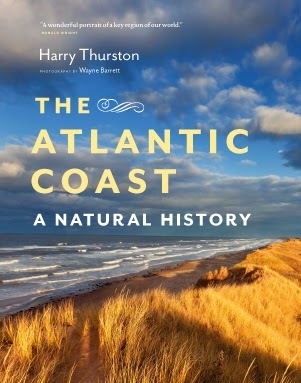 The funniest thing about the Atlantic Division is that most of the teams in the division don't have a view of the Atlantic Ocean nor are situated on the Atlantic coastline, yet they play in the Atlantic division. Oh well. I do want to point out that John, who normally contributes to the site, is still on this preview, but HBIC brought in someone else: John! Neal, John #1, John #2 and I will try to pick the winner of the division! Neal and John #1, as you may know, are the contributors to the Gentlemen, To Your Corners segments here on HBIC. John #2 writes the always-entertaining Capitol District Islander blog! Here's our look at the Atlantic Division for this upcoming season! ADDITIONS: LW Matt Moulson, RW Brian Gionta, C Sam Reinhart, LW Cody McCormick, LW Zac Dalpe, D Josh Gorges, D Andrej Meszaros. DEPARTURES: D Christian Ehrhoff, RW Cory Conacher, LW Ville Leino, D John Scott, D Alexander Sulzer. John #1: It's no secret that Buffalo is trying to win the McDavid sweepstakes. They have been in rebuild-mode the last two seasons starting with the drafting of Ristolainen and Zadorov, followed by the drafting of Reinhart and Lemieux. They also have three first-round picks next season from St. Louis and the New York Islanders, so it's no wonder they are sitting here in eighth-place. Despite picking Moulson up again and getting veteran leader Gionta, this team will be terrible on all fronts. Neal: I have no idea what these guys are doing. It all seems well and good on paper to constantly influx more and more youth into the system, but, at some point, winning has to become an objective. There are a couple additions that I do like to this team. First, I have always admired Matt Moulson as a player. He truly is one of the most underrated players in the league who is a legitimate offensive weapon and a lead-by-example type. Second, obtaining the feisty Chris Stewart should add some much needed grit to this team who can chip in on the depth lines. I could actually see him breaking twenty goals given the dearth of legitimate weapons on this team. Brian Gionta also comes over to provide some leadership, though at this stage of his career I’m not sure how much he can contribute. Josh Gorges is also a nice stop-gap on the blue line because somebody other than Tyler Myers has to play there. What I'm afraid will happen with this team is that their blue-chip prospects will be thrown into the fire and be in over their heads. Right now I'm afraid until I see different I just can’t trust this team to do anything but lose. John #2: "I know what I see with my eyes, my heart, and my soul." That's really all you need to know about Ted Nolan's approach to player development and roster management. Turning Ryan Miller and Jaroslav Halak into Michael Neuwirth is not the best way to reshape your goaltending. Neuwirth was the odd man out in Washington purely because GM George McPhee had a perpetual three-way race for a two-man battery. The Neuwirth/Enroth tandem may be the only current position of strength for this team. Matt Moulson returned to Buffalo. Andrej Mezaros is not the worst ex-Flyer to have on your blue line, but there's not much that can make this Sabres defensive corps look good. The Sabres finish last in the Atlantic and are prime contenders for the 2015 first-overall pick. Teebz: I really want the Sabres to do well. I do. I just think that they'd be an awesome AHL team this season rather than a good NHL team. I like their mix of veterans and youth, but there simply isn't enough veteran players. Moulson, Ennis, Stafford, and Gionta make up the majority of the years served in the NHL amongst this group. Cody Hodgson, Marcus Foligno, Zemgus Girgensons, and possibly Sam Reinhart are a great group of youngsters, but the two groups show a significant lack of scoring. Defensively, they have almost no offensive production. Myers, Gorges, Meszaros, Ristolainen, and Zadorov make up a nice grouping, but there isn't a lot of scoring. Michal Neuvirth and Jonas Enroth will have to be lights-out every night to give this team a chance at winning, and I can't see that happening. An anemic offence, questionable defence, and unsteady goaltending will keep this team in the cellar. ADDITIONS: C David Legwand, RW Alex Chiasson. DEPARTURES: C Jason Spezza. RW Ales Hemsky. John #1: First, Daniel Alfredsson leaves to "win", and now Spezza and Hemsky followed him out of Ottawa. This team is another team in a downward spiral. Legwand was never a good first-line centerman, and Ottawa did little to replace any of their missing pieces. This is another team that isn't very interested in getting better this season. They will be bad, but not as bad as Buffalo. Neal: For as much flak I give Buffalo, I sort of feel for this organization. This team consistently has churned out good teams against the odds, only to see their core players skip town or demand trades. Unfortunately, this year the team will not be able to overcome their losses. Their nightmare summer started when franchise player Jason Spezza demanded and then received a trade to the Dallas Stars who also signed Ales Hemsky, further decimating the Senators forwards. Alex Chaisson, who comes back from that trade, will be given every opportunity to succeed for Ottawa. He scored thirteen goals last year on a pretty good Stars team, so it wouldn't be a shock to me if he could break out somewhat and flirt with twenty goals given extra playing time and more experience. Bobby Ryan is still a pretty good player and possibly putting Mika Zibanejad with him can only improve his confidence. Legwand is a perfect complimentary player and someone most teams in the league would love to have on their second line. The other real issue with this team is goaltending. There were times last year where incumbent starter Craig Anderson looked spent. If he doesn’t return to form, this team is in trouble. Coach Paul Maclean has always milked every ounce out of this team since he started in Ottawa and this year he might have to do his best work yet. I just feel like this year will be a little too much for him and they finish near the bottom before really rebounding the next couple seasons. John #2: Trade your captain. That's a way to shake things up. So is giving your starting goaltender a new contract while ignoring the strides your backup has taken. And then there's the storm of questions around the impending free agent who was the big acquisition two years ago. Add in the loss of another free agent to go join your ex-captain and you get a drama Susan Lucci would be proud to join. How Ottawa handles Bobby Ryan will have a long term effect on the Senators. Either make him happy and show the team you want to make everyone happy, or trade him and receive lower value than how you got him. That's how it works - look at Thomas Vanek. Ottawa also needs to lock down one of their better defensemen, Marc Methot, or risk trading another key piece. A talented team with little direction, the Senators finish in sixth-place this season. Teebz: Ottawa has some real talent on their roster. Bobby Ryan, Clarke MacArthur, Kyle Turris, and Erik Karlsson are legitimate top-line players. However, the drop-off in talent after them is extreme. While Zibanejad, Chiasson, Milan Michalek, and David Legwand are good, some are still looking to reach their potential while others have seen that ship sail. Defensively, the Senators are decent with Chris Phillips, Cody Ceci, Jared Cowen, Patrick Wiercioch, Mark Methot, and Eric Gryba rounding out the blue line, but they aren't spectacular. Anderson and Robin Lehner will need to play well all season for this team to challenge for a playoff spot. With the inconsistent nature of the goaltending last season, though, I can't see them making the playoffs if things continue to trend as they are. ADDITIONS: C Leo Komarov, RW Matt Frattin, C Mike Santorelli, C Petri Kontiola, RW William Nylander, D Roman Polak, D Stephane Robidas, C Daniel Winnik, RW David Booth. DEPARTURES: C Dave Bolland, D Carl Gunnarsson, RW Nikolai Kulemin, D Tim Gleason, C Jay McClement, LW Mason Raymond. John #1: Ahhh, the Toronto Maple Leafs. They sign Phaneuf, then try and trade him. They trade for JVR, and then try to use him to get Ekblad. However, when it comes down to what did happen, the players they lost will even out with the players they signed. They didn't get better. They didn't get worse. But because the three teams below them are going to be so bad, they will rack up enough points to make the second wildcard. Neal: It's never good when it seems like your season could go well with Monty Python music, yet year after year it seems like that is what fits the Leafs. There is no question up front that they have the guns to make a trip back to the tournament with Phil Kessel and James van Reimsdyk as potent as any combination in the league. JVR broke out for thirty goals last year and more will be expected of him if the team is going to contend. The team will also hope for continued improvement from Nazem Kadri who potted twenty goals in what was essentially his first full campaign. They have the forwards in their top-six and they have the goaltending. It's just their bottom-six and their defense corps that makes this not a playoff team. Dion Phaneuf, I feel, has been somewhat vilified unfairly. He may never be the true #1 option on defense that he is being paid to be, but he needs to be better utilized as an offensive force from the point. Asking him to be your best shutdown defenceman is really compromising his ability as weapon from the point. The rest of the blue line is really middling at best. In terms of depth for forwards, they have tried to address this by the low-risk signings of Daniel Winnik and David Booth. Winnik has never made an impact and Booth has lost a step. The team will only go as far as Jonathan Bernier and the offense will take them. If they can escape the injury bug, maybe they can defy the odds and look pretty good out there. I just foresee another disappointing season for the Leafs. John #2: Will Randy Carlyle survive the Shanahammer if he can't do math? Phil Kessel is one of the best forwards in the league and can carry teammates to statistical levels they never dreamed. Yet he may be called upon to be the lynchpin of the entire offense rather than just a goal scorer. How Carlyle handles young players like Bozak and Kadri might just seal his fate. Depending on which flavor of math you use, these players are the problem and solution to Toronto’s fate. Dion Phaneuf will captain this team as long as his $49M contract cannot be moved. Speaking of moves, James Reimer needs a fresh start. The former franchise netminder was stripped of his starter status due to the twenty skaters in front of him and now is the franchise backup. It's a matter of time before he's dealt (to Winnipeg?). Fourth in the division, but fighting to the end, is the most comfortable fit for this team. Teebz: I'm not sure how The Hockey News put these guys at sixth-place in the division. Jonathan Bernier is emerging as a bonafide game-changer in the Toronto nets, and he'll be good again this season. This team will score goals. Kessel, JVR, Lupul, Bozak, and Kadri will carry the bulk of the offence. David Clarkson needs a big rebound season to justify his big contract. Mike Santorelli will look to continue his great play that he showed in Vancouver, and Leo Komarov will bring grit and a few goals with his repertoire. Defensively, the Leafs are a little weak. Phaneuf carries too much of the defensive responsibility, and it's thought that Roman Polak will relieve some of that pressure. Polak is decent, but he can't play 25-minutes per night. The Leafs will struggle defensively once again, so Bernier is the key to this team making the playoffs once more. DEPARTURES: C David Legwand, C Cory Emmerton. John #1: It's not clear yet if Alfredsson is going to retire or come back. The Wings also lost Legwand, and they were unable to upgrade their marginal defense. However, last season the Wings suffered from the worst string of injuries I can remember seeing and they were still able to capture fourth-place and a playoff spot. Given just a little more luck health-wise and the fact almost no one in this division got better, they should be able to move up into third-place. Neal: I really wanted to have the guts to put this team in the top-three. This is the year that I predict that Tomas Tatar and Riley Sheahan really break out. Of course there was last year's breakout player in Gustav Nyquist who notched 28 goals in only 57 games. With any improvement over a full year, we could be looking at the quietest forty-goal scorer in the league. That's what defines this Wings team: they have more weapons out there than anyone realizes. You pair those 3 young weapons with established stars Zetterberg and Datsyuk, and they should have no trouble generating offense. Darren Helm, Dan Cleary, and Justin Abdelkader make sure the bottom 6 is solid as well. Jimmy Howard is still a very good starting goaltender. So why can’t I put this team higher? I'm not seeing an alpha defenceman among this group. With the exception of Niklas Kronwall, I just see a bunch of second- and third-pairing defencemen. Kronwall may have peaked right now as a player. He will be solid for years to come, but that’s about as good as it will get. I pity the Metropolitan Division if Detroit crosses over into their playoff bracket. They are just that good, but have the bad luck of playing in the loaded Atlantic Division. John #2: Pavel Datsuyk will miss the first month of the season. This isn't the best way to start for a Detroit team that continues to be slightly older than the average and not nearly as deep as they are accustomed to. For multiple reasons, both within the organization and within the state, Detroit is not the premier free agent destination. Re-signing Gustavsson, Cleary, and Quincey became a priority after a mostly fruitless summer. The biggest signing was bringing in winger Kevin Porter from Buffalo. What the Red Wings have on their side are Zetterberg, Howard, Kronwall, and coach Mike Babcock. The perennial playoff streak was amazing, but this year it ends. Detroit will come in fifth-place in the Atlantic. Teebz: For years, Detroit has been the mainstay in the playoffs. Twenty-two straight seasons of playoff hopes will end this year. Detroit's stars are breaking down more often, and Datsyuk will start the season on the shelf. If Zetterberg goes down again this season, the Red Wings will struggle. They'll find scoring in Nyquist, Tatar, and Sheahan, but secondary players like Stephen Weiss, Johan Franzen, Darren Helm, and Drew Miller will determine if this team can make it Season 23 in the playoffs. Defensively, this team will be average - not spectacular, but not a liability. Kronwall will lead the blue line once more, but the Wings will need a breakout season from Danny DeKeyser. Jimmy Howard will protect the net on most nights, and Johan Gustavsson will be expected to win the majority of his 20-25 games. Long story short, the injuries and secondary scoring - or lack thereof - will end the Detroit playoff run this season. ADDITIONS: LW Jussi Jokinen, C Dave Bolland, C Derek MacKenzie, RW Shawn Thornton, D Willie Mitchell, D Aaron Ekblad, G Al Montoya. DEPARTURES: D Tom Gilbert, RW Jesse Winchester, G Scott Clemmensen. John #1: Can anyone tell me what is going on in the mind of Panthers front office? Let's start with the failure to pull a trigger for the first-overall pick. They could have had a franchise-changing deal with Philly. It was speculated to be Lecavalier, Read, and the Schenn brothers for the first-overall pick. However, GM Dale Tallon wanted Simmonds and wouldn’t pull the trigger. Instead they draft Ekblad and sign flash-in-the-pans, over-rated players for high-priced, long-term deals. If you're trying to tank, you would offer these guys one-year deals, so I have no idea where Tallon is going here. These guys aren't going to improve your scoring. They will be a cellar-dweller for another year. Neal: This team has already started to put the pieces in place with guys like Jonathan Huburdeau and Aleksander Barkov in place. This team's growth is tied to how quickly they can develop. They also have several good secondary pieces coming up led by Nick Bjugstad, Brandon Pirri, and several others. I do think that Tallon didn’t need to go out and get as many veterans as he did. A strong veteran presence is nice on a young team like this, but at some point does it come at a cost of blocking the progress of youngsters coming through the pipeline? Signing Shawn Thornton was a great move, but it should have stopped there. It was also borderline shocking the team would want to commit to goaltender Roberto Luongo as they did. He is a very good goalie with an established resume, but one has to wonder if he will be able to play at a high level when the team does start to hit their stride in a couple seasons. Throughout the season, this team will look like a team that could beat anyone on any given night, but may look like an AHL team on other nights. In a fickle market like Miami, you just need a team that contends with names people can get behind. I feel like they are on their way, but for this year there will still be many growing pains. John #2: Like most previous seasons, the Panthers appeared to reload with talent and veterans. Unlike recent seasons, they'll be starting the year with Roberto Luongo. Happy to be back in South Florida, Luongo presents a stability in net the Panthers had been missing since they last had him. The defense has been upgraded to include a Stanley Cup champion and a grizzled vet with an amazing beard, balancing out the youth at the position. Like all other free agent hauls, the Panthers' new forwards are a potpourri of roles: corers, depth, enforcer. There are some questions as to whether these players deserve their compensation and if their roles are needed in the NHL. It'll be interesting to see how everything meshes under an established NHL coach. The Panthers defense and goaltending will steal them some points they couldn't get last year, but a seventh-place finish in the Atlantic is the safest bet. Teebz: I'm happy to see the Panthers letting the young kids pick up experience. Huberdeau, Bjugstad, Barkov, Kulikov, Gudbranson, and Ekblad could be a solid core of players in a year or two if they continue to develop. Having veterans like Scottie Upshall, Jussi Jokinen, Brad Boyes, Tomas Fleischmann, and Tomas Kopecky will provide additional scoring as well. The blue line is where I'd be afraid. Brian Campbell and Willie Michell are the veterans, and neither are the bonafide stud that a team needs when rolling out so many youngsters. Luongo will need to steal games at times for this squad, and Al Montoya will have to be ready to spell off Luongo because he'll be busy. The Panthers' experiment with the kids will either be extremely successful or full of growing pains. The latter is more likely. How The Hockey News has this squad at fourth-place is beyond me. ADDITIONS: RW P.A. Parenteau, C Manny Malhotra, D Tom Gilbert. DEPARTURES: LW Thomas Vanek, D Josh Gorges, RW Brian Gionta, C Daniel Briere, G Devan Dubnyk. John #1: As of this writing, the Canadians lost skill, goal-scoring, and leadership. However, there is a chance they may replace all that if they trade for Marleau. Regardless of the trade, they have Subban locked up, and there is Carey Price. That should be good enough to earn fourth-place in the division and the top wild card spot. Neal: I am going to say it here first: this is my dark horse contender for the cup. I don't think they have the most talent in the league or even the division, but I feel that top-to-bottom the components are there to make a deep run come spring. Despite being in the top-ten in goals-allowed, this team was in the bottom-ten in shots-against. It could be a sign that Carey Price made this unit a little better than they should have been. What impresses me about this team the most is the amount of young talent they have up front. They made a smart move in moving dead weight such as Gionta and Danny Briere and fully giving the reigns over to young players such as Max Pacioretty, Alex Galchenyuk, and Brendan Gallagher. Lars Eller will have to bounce back after a mildly disappointing campaign that saw him only notch twelve goals when more is expected of him. P.A. Parenteau is the hockey equivalent to a Swiss army knife and was a huge boon for them. Manny Malhotra was also a nice under the radar pick up who can eat minutes on the PK. They have the talent to make a run once again, but can they execute it? John #2: After one of the more tension-filled off-seasons in recent history, Montreal is looking calm at the moment. Their top defenseman/best player/face-of-everything PK Subban has a contract that recognizes his skills and incredible upside. While the season-average is high, there was no other option. Without a true captain, the Habs are going for a committee as Subban, Plekanec, Markov, and Pacioretty. While the idea “if you have two captains you really don’t have one” is certainly applicable, Montreal needs to find out who they have to lead them, even if only one candidate is Canadian (cue outrage). Carey Price's knee should be a non-issue even with his limited summer workouts. If I'm Marc Bergevin, I go with Tokarski as the backup this year. With the shedding of some dead weight from the roster, Montreal should finish the top of the Atlantic. Teebz: Montreal will be interesting this year. They could potentially finish anywhere from first- to third-place in the division. I like the forward set that the Canadiens will roll out, but they are still small in the forward ranks. Teams will want to punish guys like Davis Desharnais, Pacioretty, Plekanec, Galchenyuk, and Gallagher. Getting Rene Bourque on-track early in the season would make for three excellent scoring lines, so we'll see what happens there. Defensively, they have a fast, skilled blue line, and I love the addition of Tom Gilbert. Carey Price will carry the bulk of this season's work, and I expect Peter Budaj and Dustin Tokarski to battle for the remainder of the work. Make no mistake: this team will be defensively sound, but may struggle to score if they get into a playoff-like battle with teams that want to punish them. Overall, Montreal will be back in the playoffs. ADDITIONS: LW Brenden Morrow, C Brian Boyle, D Jason Garrison, D Anton Stralman, G Evgeni Nabokov. DEPARTURES: RW Teddy Purcell, C Nate Thompson, D Mike Kostka, RW BJ Crombeen, G Anders Lindback, D Keith Aulie. John #1: The Lightning made some crazy moves this off-season. They traded Thompson, Crombeen, and Purcell for some late-round draft picks and a portion of Sam Gagner's contract. You would think they could have got more for Gagner if they took the time to realize Nashville and Ottawa were both about to need a young good center. However, at the end of the day, they re-signed Callahan and signed free agents Brian Boyle and Anton Stralman. That alone should add some chemistry to the team. Brenden Morrow should add some third-line depth and Nabokov will add solid backup goaltending over the unpredictable Lindback. They get Stamkos back for the full year, and we will likely see Calder Cup candidate Jonathan Drouin make his debut. Tampa is going to have to fight tooth and nail against Boston for first, but, despite the terrible travel they have, they will do it. Neal: There is something special going on in Tampa. Getting a healthy Stamkos back for a whole season could have this team challenging for the President's Trophy. What I am most impressed about is the plethora of weapons they can deploy on the ice. All eyes will be on rookie sensation Jonathan Drouin who at least has a chance to be paired with Stamkos to open the season. I could easily see this kid posting 40 goals along Stamkos' side. Tyler Johnson and Ondrej Palat were co-Calder finalists and should get major ice time this year. Valtteri Fillpula was an absolute monster for a few months before injuries slowed him down. Former Rangers Ryan Callahan and Brian Boyle should control things on the PK as well as counteract other team's top lines. The defense was bolstered by the signing of Anton Stralman, but I still don’t see the one elite guy to carry this unit. Hedman had better offensive numbers than Letang had in his Stanley cup run, but for a top defender on a really good team his +/- of only +5 is a bit troubling. The other issue could be goaltending. Can Ben Bishop can stay healthy. It was very apparent that when Bishop went down last season, the wheels started falling off a little bit. The team has tried addressing this issue by signing Evgeni Nabokov, but you have to wonder how much he has left in the tank. I think Bishop is a decent enough goalie to not hurt them in the postseason, but you have to wonder if he is good enough to carry a team when they aren't scoring. One thing is certain, Stevie Y has a solid foundation that he has grown in Tampa and this team should be excellent for years to come. John #2: Last of the guaranteed playoff spots from the Atlantic Division goes to Tampa. Adjusting to life without Martin St. Louis should be easier with the influx of Brenden Morrow and Evgeni Nabokov. Not what he was in San Jose, the former Islander is renowned for his positive influence in the dressing room and his ability to teach the game to his teammates. He'll be just as valuable off the ice as he will be on it. Raiding the Rangers of their best offensive defenceman and hulking third-line center will give the Lightning needed depth to compete within the Eastern Conference. The Lightning will rely heavily on youth and a healthy Ben Bishop to take the third-place spot. Teebz: In the vein of Steve Yzerman's Detroit Red Wings, this team is built to win. Stamkos, Callahan, Palat, Johnson, Filppula, Alex Killorn, Brian Boyle, Morrow, and Nikita Kucherov can all score, play defence, and will give a complete effort night-in and night-out. Victor Hedman, Jason Garrison, Anton Stralman, Eric Brewer, and Radko Gudas will score, protect the net, play tenacious defence, and support the forwards on any given night. Ben Bishop and Evgeni Nabokov form a solid tandem. You won't find any glaring holes or weaknesses on this roster. Add in the possibility of having play-making Jonathan Drouin on this roster, and you're looking at one of the Eastern Conference's most complete teams. A deep playoff run seems very plausible with this team as long as the injury bug doesn't strike them. DEPARTURES: RW Jarome Iginla, D Andrej Meszaros, RW Shawn Thornton, G Chad Johnson. John #1: The Boston Bruins have been the toast of the Atlantic Division for a while. They are still a very good team even though they lost contributor Iginla, tough guy Thornton, and trade-deadline acquisition Meszaros. However, they are going to fall baack a spot this year. They stayed status-quo while the team right behind them in the standings got better, but it will be close this season between them and the Lightning. The Bruins will be in a fight for the conference champs. Neal: On paper, the Bruins are set once again at about every position. There is no doubt that Patrice Bergeron is one of the best players on the planet on both sides of the ice. Combine that fact with the superior goaltending of Tuukka Rask and there is no reason to think this team won't rack up a ton of wins. However, there are numerous cracks starting to show in the foundation. When the playoffs started and opposing defenses started tightening up, it seemed like they had trouble generating offense despite boasting a top-five offense in the regular season. With Jerome Iginla and his ability to score those greasy goals in tough areas gone, the Bruins will need to find a way to fill that role. Chara has also lost half a step on the ice. His shot is still lethal and if he gets you lined up he can still be an excellent defender, but you have to wonder if the time is coming where he won't be able to keep up with the faster skaters in the league soon. Reilly Smith was the only right winger who scored as many as twenty goals last year. Loui Eriksson has to do better this year. He was one of the staples of the Seguin trade and the team will count on him to produce more. One has to wonder how big the departure of tough guy Shawn Thornton is. There was no question that Thornton was one of the veteran leaders on this roster. My feeling for the year says this team will once again be one of the beasts of the East, but some of these small issues will start to creep up leaving them behind my top-two picks. John #2: Not much has changed for Boston from their 2011 Cup victory, or their 2013 Cup appearance, or even last year when they bowed out to Montreal. Claude Julien's system will continue to utilize all available tools to keep Tuukka Rask's sanity in check. While losing Iginla to free agency takes away a serious secondary scoring threat, the Bruins are hoping to replace those goals from within. The biggest issue is the blue line. Nine one-way contracts are on the books and the salary cap will create victims. Johnny Boychuk and Torey Krug are the prime candidates to be moved, but what will the long term effect be by losing one (or both) of them and Zdeno Chara in a few years? Boston is facing an odd mix of depth and having to deal that depth away. Because of this, the Bruins are looking at second-place in the division. Teebz: Everyone seems to forget that the Bruins have a pile of scorers to make up for Iginla's loss. David Krejci, Milan Lucic, Reilly Smith, Loui Eriksson, Brad Marchand, and Bergeron make a pretty lethal top-six for this squad, and the bottom-six will check like demons. Having a surprise player like Simon Gagne make the team will only help in the scoring department. While Chara has lost a step, reducing his minutes will reduce that impact. Players like Dennis Seidenberg, Dougie Hamilton, Torey Krug, Adam McQuaid, and Johnny Boychuk can make up that difference. Tuukka Rask will be excellent in the nets once again this season, but Niklas Svedberg and Malcolm Subban still have a lot to prove. Unless Rask can win forty games in his 65 starts, the Bruins may fall behind Tampa Bay if they can't get results out of their backup netminders. So that's how the Atlantic Division will play out in our four minds. Agree? Disagree? Leave us your comments on how you see the division playing out this season. I'm sure there will be a few disagreements, but that's a good starting point for a discussion! We've seen a few teams in recent years go back to uniforms that they had a lot of success in, but Tampa Bay didn't do that today. 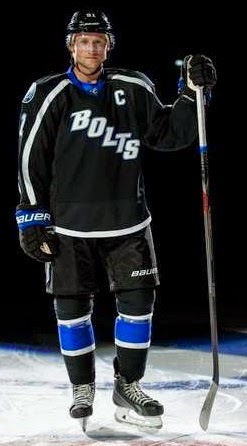 As you can see from the photo above, the Lightning are harken back to their championship days with their new alternate as Steven Stamkos took to the ice in black, but we'll see that these aren't throwbacks to their 2004 Stanley Cup Championship. "The one thing that we talked about was obviously going to black but keeping our blue in it, having the blue and the black together," Dave Andreychuk told Bryan Burns. "And I know Mr. Vinik was a big fan of the BOLTS. To me, it’s perfect." Well, opinions are going to differ between myself and the 2004 Stanley Cup-winning Dave Andreychuk. I respect Mr. Andreychuk, but I think he's hitched his wagon to the BOLTS a little too long. If Stamkos wasn't wearing BOLTS across his chest, you may have been able to convince me that he had been traded to the Los Angeles Kings. While the Kings wear sleeve stripes and less blue, the jerseys are nearly identical in their basic design. Personally, I'd like my alternate jersey to look unique to my team, but it seems the Lightning are taking a page directly out of the Kings' jersey history. On top of that, check out the stripe on the Kings' socks from their old black jerseys. While Gabe Gauthier's socks aren't the best in that picture, it seems the Lightning's new alternate socks have nearly the same pattern as well. I'm not sure that there is anything unique about this uniform at all. It's simply a reworking of the Los Angeles Kings' current jersey and their old socks. Did Reebok have a surplus of Kings equipment lying around their factory? Moving on from being Los Angeles West, I wasn't a fan of the BOLTS name across their chest when they debuted it on their blue alternates a few seasons ago, and I'm still not a fan. "I'm glad that that's back," Andreychuk told Burns. "We kept the BOLTS, which is cool because I think when you think about BOLTS now, we're starting to become Bolt Nation and Go Bolts. We can't get rid of the BOLTS, so I'm glad that stayed." Why? They have such a great, simple logo now, they no longer need BOLTS. In fact, they've never needed BOLTS. It's a nickname. It's not the team name. The Penguins don't wear "Pens", the Capitals don't wear "Caps", the Islanders don't wear "Isles", the Panthers don't wear "Cats", and the Canadiens don't wear "Habs". Why do the Lightning feel they need to use their nickname when they have a great logo?!? It's not their most colorful alternate nor does it use some funky font, so will anyone remember this uniform fondly? I doubt it. It's not all that unique, and it certainly doesn't evoke memories of anything in the Lightning's history. Being a black uniform, it has to be pretty awesome for me to give it high marks. This uniform, sadly, is not, and it would not receive a passing grade from me whatsoever. 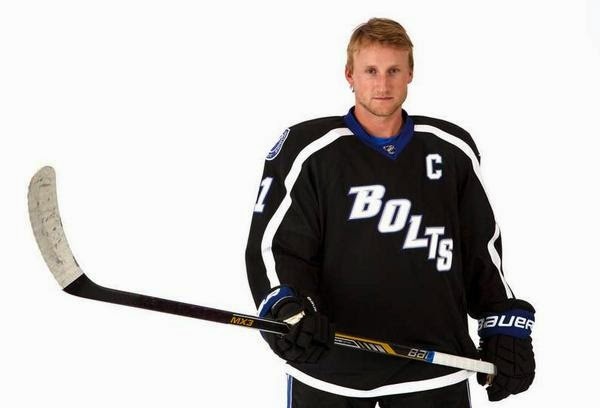 Lightning didn't strike twice in Tampa Bay with these alternate jerseys. The NHL preseason is underway, and there are a lot of teams finalizing rosters as we speak. Players are being returned to junior, being sent to the AHL, or, in some cases, being released from tryout contracts, but things are getting a little tougher for some teams as injuries are starting to pile up in these rather meaningless contests. Does it make sense to have your regulars playing the preseason if there's a chance one of your regulars is going to miss significant time? There's no way to predict when injuries will strike a team. Injuries are one of those variables that can significantly affect a team's outcome in the standings depending on the number of injuries suffered by a team and by whom. Carolina lost a significant piece of their team earlier this preseason when Jordan Staal broke his right leg in a preseason tilt against Buffalo. He's scheduled to miss the next three-to-four MONTHS of hockey, and Carolina's playoff hopes just faded significantly. Staal isn't the only major player that will miss time. Buffalo's Patrick Kaleta, Detroit's Pavel Datsyuk, New York's Derek Stepan, Pittsburgh's Beau Bennett, Toronto's David Clarkson, and Toronto's David Booth could all be lost for significant portions of time to start the season, and a bad start has most teams playing catch-up from which they may never recover. Losing key players hurts the team in the standings in the short-term, and that downturn in their overall success could hurt the team's bottom line in the long run. The second question we should ask: does anyone actually enjoy preseason hockey? The players on one-way contracts work on getting back into game shape, work on getting their timing down, and work on finding some chemistry with linemates. The players on two-way contracts are looking to find an NHL job on a roster. For draft picks, they are looking to play above their heads to find a roster spot as well. Coaches come into training camp with an idea of what they want, who they want, and basically know who will be on the roster after two or three games. Fans watch the games simply because we crave hockey after a long summer. So do we really need nine games to determine a roster? Could we not start the season earlier in order to end the season earlier? I know that owners want to make a few more bucks, and can do that by filling the building a few more times in the preseason, I suppose. If I'm a fan, though, I'm not really interested in watching one-third of the normal NHL roster try and find some chemistry with guys who may not see NHL ice until the following training camp. Personally, I understand that the NHL season is supposed to start in October, but we could move it back two weeks, chop the number of preseason games in half, and finish the season before June. With the number of significant injuries we've seen in this year's preseason, it makes no sense to continue to play long preseasons when teams will suffer without their stars. It also makes no sense to play hockey in June either, but that's a different conversation altogether. If there is a way to reduce the number of significant injuries in the preseason, I'm all ears. Right now, the best way to do that is by reducing the number of preseason games. Things are changing around HBIC. There's a major event happening tomorrow, so I'm spending today off the grid to prepare for the changes. The blog, however, will remain unchanged, so don't go looking for changes physically here on HBIC. You won't find any. At least not yet, anyway. 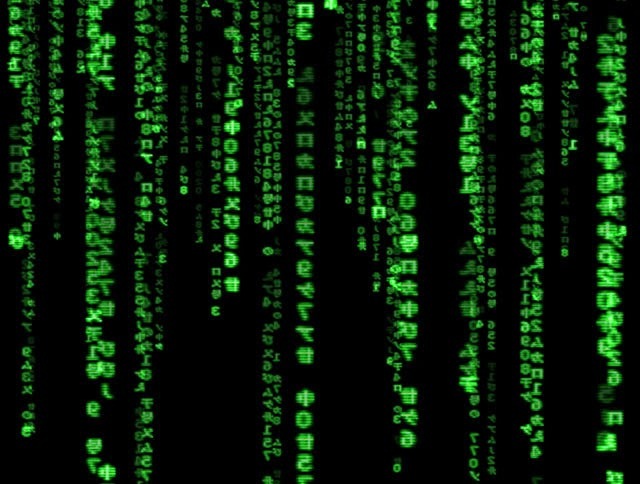 While Neo saw the glitch in The Matrix that meant some code changed in the system, the system is changing around this code today for me. I'll be busy, but I haven't forgotten to post something. For those of you concerned your team may tank to win the Connor McDavid sweepstakes, here's how Boy Wonder is starting his OHL season. McDavid looks to be in fine form a few games into the season. Oh, the Lightning? They unveiled this alternate jersey today. We'll talk about that on Monday. I'm off the grid today and most of tomorrow! I'll post something tomorrow, but it may not be much. I'm not one to support every idea out there on the market when it comes to campaigns on sites like Kickstarter, IndieGoGo, and the likes. I'll be honest: there's a lot of crap on the support-me-please market. While there are some legitimately good ideas, there are dozens not worth their weight in salt. In saying that, I'm taking the opposite approach this morning. The blade to the upper-left presents a very interesting concept in its design. While hockey players rarely complain about wind resistance as they're shooting, the idea of cutting that small amount of drag as a shot is being fired could actually increase the speed of shots even further than what we see today! With that, I'd like to introduce you to the AirBlade! I want to be upfront with everyone on this: I have received no endorsements, products, or payment of any kind for this review. I am writing this review having not touched a stick, seen it in use personally, or any other personal experience with the AirBlade outside of the testimonial videos. I am writing this because the science behind the stick seems valid and plausible, and I happen to appreciate science. Because I have not used the AirBlade in any way, I can neither endorse nor discourage any one from getting an AirBlade if one is interested in purchasing an AirBlade. This is simply a look at the science and claims behind a stick that has the potential to change the game for some players. Ok? Ok. Carbon Sports LLC's COO Richard Fucillo "explained that the AirBlade stick was designed with a perforated cross-beam pattern, rather than a foam core, with a carbon fiber composite material used in the aerospace and military industries". Interesting, but we're talking about a blade that has holes in it, right? I get that carbon fiber is stronger than most materials, but the idea of using a hockey stick with a blade that has holes in it seems counter-productive, right? Well, according to Carbon Sports' website, "[t]he competition uses a foam core for the majority of their blade. This makes the blade more sensitive to wear and chipping, as there is only a thin layer of carbon fiber protecting the core". There's a good chance that the wearing and chipping has happened to most of us who play the game. As you're aware, as soon as this chip becomes prominent, the stick is basically finished. By using AirBlade's solid carbon fiber design, there is less chances of chipping or wearing, meaning that your stick will last much longer than current conventional sticks. That is probably the biggest selling feature that I can find at this point in terms of why players would want an AirBlade. The warranty that Carbon Sports offers on the AirBlade is actually very impressive. They offer a 300% longer warranty on their sticks compared to conventional carbon fiber sticks, and they "have not had a single return or issue with any AirBlade stick to date". In other words, they stand by their claims of the AirBlade outlasting their traditional competitors! In addition to the warranty, Carbon Sports is confident enough to offer something else no one has: "We are so confident that you will love your customized AirBlade that we are offering a 60-day money back guarantee to backers through Kickstarter. As long as you use your stick within our warranty policy guidelines, you can return it up to 60 days after date of shipment for a full refund." Test before you buy? That's now possible! Now you might be asking about the claim for faster shots due to less drag on the stick. As a defenceman, I've never really considered wind resistance to be a major player in the shot department because every player deals with it. 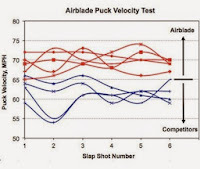 However, as you can see on the right, the AirBlade does show an increase in shot velocity as per Carbon Sports. 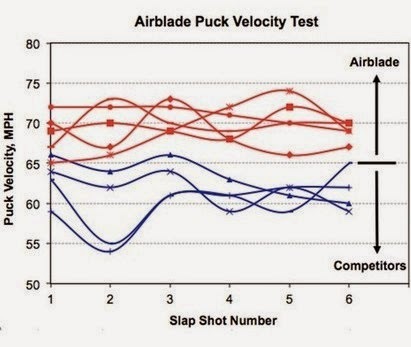 According to their studies, players can experience "a 13% increase in average shot speed as documented by internal wind tunnel and on-the-ice testing". In some cases, that's the difference between a goal and a save due to a goalie's reaction time. There are additional features that make the AirBlade a little more player-friendly as well. The blade has micro-grip nubs, allowing for better puck control and shot accuracy. The AirBlade can also be ordered "in 25,000 different combinations of lie, curve, curve depth, contour, rake, shaft flex, and shaft coat" so that you get your stick exactly how you like it. In other words, AirBlade literally has a stick for all players of all sizes and ages! Carbon Sports has a few testimonials from some well-regarded players. I'll post a couple of these, and you can decide on whether these reputable hockey players' testimonials are enough for you to consider an AirBlade. Carbon Sports is going to be launching a Kickstarter on Monday, September 29, 2014 to try and get the AirBlade off the ground. They're looking to raise $45,000 in their campaign. If you want to help out, there are a number of different incentive levels that can be met including one that offers an AirBlade. I admit that the Kickstarter amounts seem expensive in some cases, but there's usually a product coming back your way at each level. We currently have the technology, the team, and the infrastructure in place, ready and waiting to produce custom-made AirBlade sticks for our customers. Your support will allow us to purchase the molding tools necessary to begin production of the AirBlade directly from our facility in Massachusetts. Without these molding tools, we would not be able to tailor the AirBlade to each player's individual specifications, and we would not be able to keep production right here in the USA! The science seems sound on all accounts in the AirBlade's case. While the testimonials may leave a little doubt in your mind, the names supporting the AirBlade are pretty recognizable and I doubt they'd stake their reputations on a product that was inferior. Overall, it seems like this product has legs as long as they reach their Kickstarter amount. Until next time, keep your AirBlade sticks on the ice! The Hockey Show, Canada's only campus-produced hockey radio show, returns tonight with a studio full of guests! 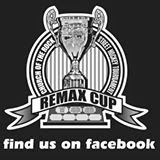 Beans and Columbus will join me as always, but we'll also welcome a contingent from the Re/Max Cup ball hockey tournament as they get ready for another big tournament next spring! As always, it'll be madness in the studio as we go over all the stuff happening with the Re/Max Cup and we look at this past week's major hockey stories, so tune in on 101.5 UMFM for some hockey chatter! Kevin Wilson, the man and brains behind the tournament, will be bringing in some of the top players from past tournaments to help raise the banner on another tournament as the registration for the 2015 Re/Max Cup begins next week! We'll talk to the players about their favorite memories of the past few tournaments, and we'll get the word out about this year's tournament, how you can register, the costs, and much more. Having been to the last two, I can tell you that the action is fast-paced, the players are highly-skilled, and the tournament is always a success! Tonight on 3 Rounds Deep, Teebz, Beans, Columbus, and the members of the Re/Max Cup entourage will discuss who we believe the Stanley Cup champions will be this season. Everyone knows that teams like Chicago, Los Angeles, Anaheim, Boston, and Pittsburgh are the favorites year-in and year-out, but maybe someone has a different thought on who could shock the world. Montreal? Tampa Bay? Dallas? San Jose? All teams are in play in this edition of 3 Rounds Deep, and we'll see who the consensus Stanley Cup favorite is from the group! Going 3 ROUNDS DEEP tonight: Stanley Cup favorites! Within the hockey talk tonight, we'll be chatting about the new uniforms for the Penguins and Capitals, Ryan Johansen and whether a team should offer him a contract now that his price has come down, the first two preseason games for the Jets, who might be staying with the Jets this season, and much more! Tonight will be busy, so don't miss a minute! We're on the air at 5:30pm so tune in for all the action! We're on 101.5 UMFM on your radio dial in the Winnipeg region or you can listen live between 5:30pm and 6:30pm CT on your web-enabled device at the UMFM webpage! We'll be available via phone at (204) 269-8636 (269-UMFM), so give us a call to share your thoughts on any of the topics we cover! You can tweet us anytime you like by hitting us up at @TeebzHBIC on Twitter. You can also post some stuff to Facebook if you use the "Like" feature, and I always have crazy stuff posted there that doesn't make it to the blog or show. 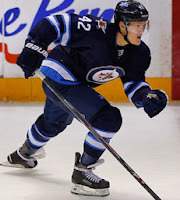 I'm starting to warm up to the idea of Nikolaj Ehlers being a major contributor for the Winnipeg Jets in the near future. While he has yet to dent the twine in the preseason, coaches are always looking for the little things that players do right in terms of their development - finishing checks, good hustle, and responsible defensive play. Ehlers hasn't let anyone down in those three facets of the game just yet, but Ehlers showed something tonight that hardly anyone saw until the replays were shown and TSN analyst Shane Hnidy pointed it out. Not to pat myself on the back, but I noticed it as well before the replay, and it is becoming evident that Ehlers has learned to play the game of hockey the right way. Here's the highlight of what Ehlers did tonight that really impressed me. You won't see him actually do anything, though, so we'll discuss below. Here's TJ Galiardi's goal against the Oilers with a major stick-tap to Nikolaj Ehlers. Again, you didn't see Ehlers on the ice nor was he involved in the play where Will O'Neill threw the long-bomb pass to Galiardi, but Ehlers was instrumental in this goal happening. You see, he was the player on the left wing boards that hustled across the ice to complete the line change that allowed Galiardi to slip in behind the Oilers' defence as he came off the bench! I made mention of it on Twitter, and it was favorited by one person. The person who has that tweet as a favorite? None other than Nikolaj Ehlers. This isn't being posted so that I can boast about an NHL player favoriting a tweet that I wrote. It's being posted because Ehlers put his head down, skated hard to the bench, and completed the line change when he could have waited for the play to head up the ice from the Jets' zone. This is a player who made a decision to get fresh legs out on the ice instead of trying to extend his shift while tired, and the result was a breakaway goal for Galiardi. That's the kind of unselfish play that will have the coaches ecstatic because Ehlers swallowed his pride, did his job, and the team was rewarded for it. Ehlers played the unsung hero role on that goal, and he deserves a little recognition for his selfless play. All I can say is that I'm warming up to Ehlers. He probably won't be on the opening roster, and that's ok. He looks a little slight to be playing a regular shift in the NHL, and I'm not sure a third- or fourth-line role would benefit him in any way. However, the kid has excellent fundamentals, a nose for the net, and, as demonstrated, a selfless team-first attitude. While he may not play in the NHL this season, he'll be here soon. And if his progression continues, he'll be in the NHL for a long, long time. The Washington Capitals are team with a limited uniform history. They have already brought back the throwbacks as their alternate uniforms, and their current uniform set mimics the throwbacks with some modern twists. Outside of the screaming eagle jersey and the black Capitol jersey, they run a little short on jerseys they can wear. This is both good and bad - good in that they have stuck true to their time-tested look; bad in that they can't really dive into their history when a special event occurs. 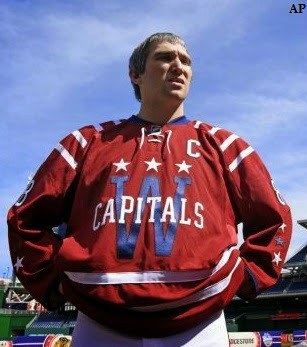 Today, however, the Capitals added a new jersey and logo to their history as they unveiled their Winter Classic uniform. The Capitals showed off their new duds at National park in Washington, DC where this year's Winter Classic will be played between the host Capitals and the visiting Chicago Blackhawks. The Capitals went with a darker hue of red as they have since 2007, foregoing the opportunity to use the bright red they have worn in their history. Honestly, if there's a sunny sky on January 1 in Washington, no one will notice this darker hue. If it's cloudy, though, this darker red could will look maroon depending on how dark the winter sky is. They stuck with navy blue breezers, remaining true to their color scheme that works so well. I happen to be a fan of the white accents on these uniforms, and the white lace-up collar really stands out against the red background. For the first time in a long time, I like the lace-up collar. I'm not really into the logo that the Capitals chose. It feels very "collegiate hockey" or, dare I say, baseball-ish in its design. While the "Capitals" pops off the red background, the stylized "W" almost vanishes in the sun. I like the three-star element on the chest and sleeves, bringing in elements of the current jersey as well as the historic jersey. The shoulder stripes do look good, although they serve absolutely no aesthetic purpose other than to add some more contrast, and the hem stripes make this uniform feel like a hockey uniform. 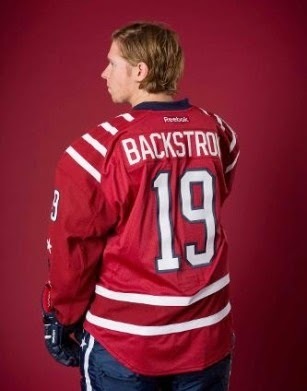 As seen on Backstrom, the Capitals are using oversized fonts for the names and numbers. The reason? 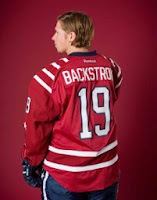 "The numerals on the backs of the sweaters and on the sleeves are somewhat larger than the norm for NHL sweaters. Larger numerals will be useful in a Winter Classic setting where the sightlines aren’t as intimate as they are inside an NHL arena." Kudos to Reebok and the Capitals on this one as the rink at Nationals Park is a long, long ways away from a number of seats. Instead of paying homage to their own 40-year history in the design of the sweaters they'll sport on New Year’s Day, the Capitals and Reebok elected to dial the way-back machine a bit further, back to the 1940s and the days of the Uline Arena and the old Washington Lions of the Eastern Hockey League and the American Hockey League. The decision makers and designers spent some time poring over old photos of players and sweaters from Washington's pre-NHL hockey history, and the result is the maroon, white and blue sweater emblazoned with stars and stripes and a "CAPITALS" wordmark over a large blue "W" revealed here today. The stripes on the shoulders, legs and arms give the uniform a decidedly vintage look, and the choice to go with a maroon sweater also lends a vintage air to the look. "The ideas really ran the gamut," says Fishman. "[Reebok] came with one that was based on the Caps' traditional Winter Classic throwback uniform of the '70s. They came with one that had cursive 'Capitals,' and then they came with a variation that looked like the current version. But we quickly narrowed it down." 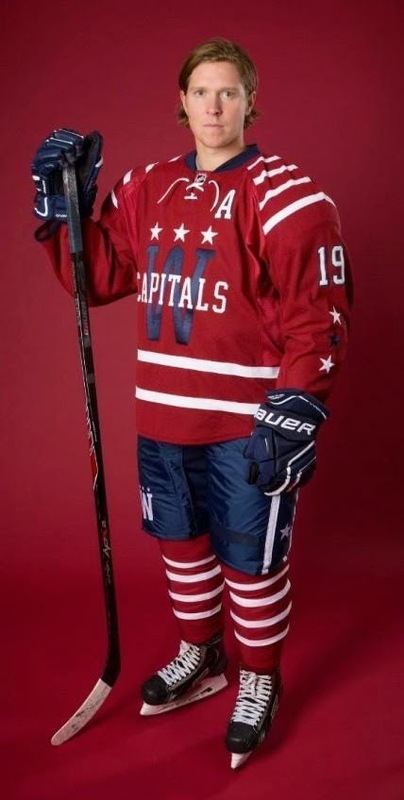 So it seems both Reebok and the Capitals are honoring the entire history of professional hockey in Washington with these uniforms. While I appreciate that effort, does anyone remember the Washington Lions of the EHL in the 1940s? I searched through Google and found a few pictures, but none of the design elements reflect anything from what was worn in the 1940s. Does anyone have historic photos of the Lions to support the claims made? Little help on this one? All in all, it's a good Winter Classic jersey. I'd be bothered if it got more play than just an alternate jersey, but the Capitals did alright on this one. It's not their best work in their history, but it's certainly not their worst either. Overall, the Winter Classic will look just fine on the Washington side of the coin. I've been a little busy lately as there have been many on-goings happening in my life. First off, I want to wish my brother a happy birthday as we threw him a mini-celebration on the weekend with excellent food, great laughs, and some good chatter. Despite his love of the Los Angeles Kings and his idolization of Drew Doughty, he's alright. He's gone through many hockey phases in his life - Montreal Canadiens as a kid with his appreciation for Patrick Roy, moving to the Avalanche when Roy was traded, and since finding the Los Angeles Kings after Roy retired. While I've stayed true to the Penguins, his loyalty has shifted based on his favorite player at the time. Being that his favorite player is now Mr. Doughty, the family went in and got him a special gift for his birthday. I want to thank Mr. Mark Penxa for the work he put in on this one. Honestly, my brother loved it, and he is going to feature it "above the fireplace" in his living room. I don't think he let the picture get too far out of his sight all night. Needless to say, I was blown away when I saw it, and the fact that it's a one-of-one unique painting makes it all the more special. Honestly, if you're looking for a unique piece of sports art, Mark Penxa's work is second-to-none. 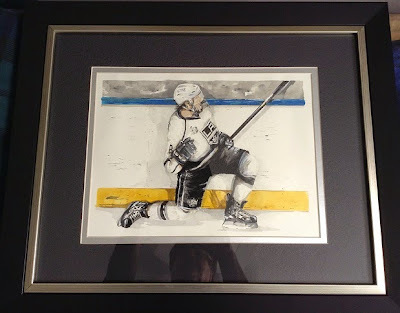 My mom, who admittedly isn't a big hockey fan, is a fan of this painting. While it would never appear on her wall, she knew from the moment she saw it that my brother would cherish it. Thanks again, Mark, for your excellent work. It is truly spectacular, and you've made a Doughty fan a very happy man. To my brother, happy birthday, and let's hope the Kings and Penguins meet in the Stanley Cup Final this year for a true sibling rivalry once more. I'm sure we've all seen the Sidney Crosby commercials where he's pushing Gatorade, especially with hockey season right around the corner. 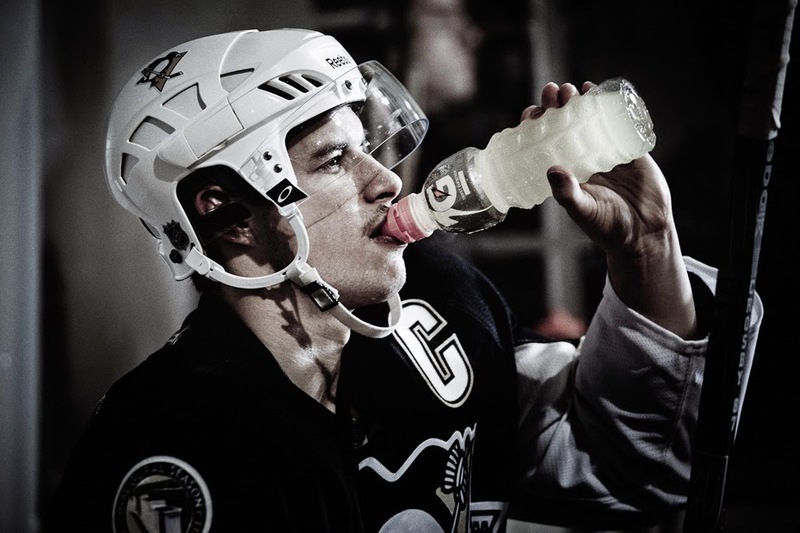 They show Crosby drinking down the magic energy elixir before going out and embarrassing his opponents with his incredible skill thanks to the magical energy-restoring and electrolyte-replacing Gatorade. While I'm entirely sure that Gatorade is used in the NHL thanks to a lucrative endorsement deal, I've been skeptical of the real-world results for beer league players and minor-hockey players. In fact, I called out Gatorade in studies versus water and the effects post-workout versus milk. Needless to say, the sports beverage came in second-place both times. I was watching an episode of CBC's Marketplace today that originally aired in January of 2014. The investigative journalists took a long look at the sports beverage industry with a focus on whether Canadians actually do enough exercise to warrant drinking sports beverages. They focused in the television report on the marketing done, especially to kids, by Gatorade, and how Gatorade's marketing seems to be leading kids to the confectionary counter to buy sports beverages after they get off the ice like their on-ice idols do. 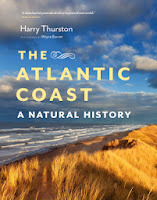 Marketplace co-host Tom Harrington did an excellent job in exposing some truths in this episode. Popular choices such as Gatorade are extensively promoted for their ability to help athletes refuel. Gatorade boasts their beverage is “scientifically formulated” and will "provide optimal quantities of sodium, potassium and carbohydrate to support exercise." Powerade promises an "advanced electrolyte system designed to help replenish four electrolytes lost in sweat." Again, I don't doubt that Gatorade has done extensive studies to see what electrolytes are lost in sweat. That claim has to be true in order for them to design an ingestible product that replaces what is lost. However, when one looks at the nutrition labels of these beverages, you start to question exactly how much is needed when you're sweating. Gatorade’s Glacier Cherry Perform drink contains 41 g of sugar per serving - more than 10 teaspoons of sugar - and 330 mg of sodium, more than a McDonald's medium fries and more than a serving of Doritos Cool Ranch chips. Wowzers. That's a ton of sugar and a ton of salt. For an adult, that's excessive. For a child to be putting that into their bodies is downright criminal. Dr. Greg Wells, a sports physiologist who is a researcher with the Human Physiology Research Unit at the University of Toronto and has worked with elite athletes, says the body is actually pretty good at regulating itself without all the fancy drinks. Children should probably avoid them completely. "Your body is very, very good at making the changes it needs to make in order to keep you exercising safely all on its own," he stated. “We know that children don't sweat as much as adults do, so they don't actually need it as much as adults do. 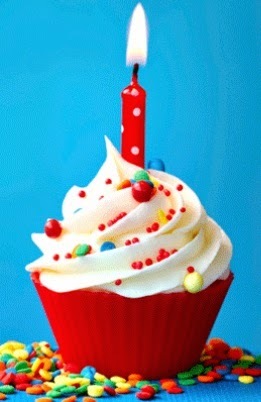 And kids' events are typically shorter and not long enough to require them. We're giving our kids a lot of sugar, lots of salt, so we need to be very, very careful with that." I, for one, agree with the doctors here. Water is the main ingredient in sweat, so replacing it is vital. Yes, there are electrolytes that are expelled with sweat, but the vast majority of sweat is still water. You can argue that losing these electrolytes are vital in the long run, but how many of us are actually doing the amount of work needed to lose the quantity of electrolytes found in a bottle of Gatorade? You might think you do, but the studies show differently. Wells says that while sports drinks are widely available, they're only really helpful to a small minority of athletes. "Eighty-five per cent of Canadians don't get enough exercise to begin with, so they don't need sports drinks. The remaining 15 per cent that actually do exercise, you probably have one or two per cent exercising really hard, really intensely enough to really need those sports drinks. In that group, probably a small subset of them are exercising long enough to need it. "In the scientific community, we generally don't recommend sport drinks for anything less than 90 minutes, if you are exercising really intensely, if you are exercising in the heat, if you are exercising for a very long period of time." Intense workouts in the heat for long periods of time? Sounds like a Florida Gators football practice - the same place where Gatorade was first developed and used. If you're a marathon runner in the summers, you could probably start to use Gatorade later in the race for the pick-me-up it provides with the simple sugars and the small effect the added electrolytes it will add. However, as Dr. Wells states, "the average person, in a gym, typical spin class, yoga class, going to lift some weights, you need water." And that leads me to back to the rinks across Canada. Most beer league teams don't play for more than an hour, and there is no one player outside of the goaltenders who play the entire game. That means that you might log thirty minutes of ice-time in any given night which is far below the recommended exercise time proposed by the scientific community. Therefore, it stands to reason that you don't need Gatorade on the bench whatsoever, and that water is the only in-game beverage you need to replace any water lost through sweat. “An average person like you," Dr. Wells told Mr. Harrington, "during a workout, you need to be drinking a lot of water; that's pretty much all your body needs. That's what your body needs for your muscles to work really, really well. That's what your blood needs to circulate really well." I'm not here to tell you how to parent, but if I was coaching a minor-hockey team and I saw a kid drinking Gatorade, I'd be speaking to those parents. While I appreciate everyone believes their children are putting in 110%, the fact remains that ice-time is limited and kids in minor-hockey will never scratch the surface of a ninety-minute workout of an adult. Ever. The benefits of water are many. Let's get off the "$450 million in sports drinks" mentality, and start doing what's best for us and our kids. Or, in other words, let's stop buying into the marketing. Dustin Byfuglien has a Stanley Cup ring. He was a vital part of the Chicago Blackhawks team that lifted the curse on the franchise by winning the Stanley Cup in 2010. Byfuglien, as a forward, terrorized goaltenders in front of the net, making a name for himself as the kid who couldn't be moved from the crease. The key in all this was that Byfuglien was an effective forward for the Blackhawks who did a job that others wouldn't: front of the net and take some abuse. It hasn't been that way since he got his ring. Byfuglien was out at the first Winnipeg Jets Fan Fest yesterday, and he was surrounded by credentialed media all day. He seemed to be in a jovial mood, and that was good for all those looking for quotes from the big forward. The problem is that you weren't sure the answers you were getting were Big Buff being serious or having some fun with the guys who write about him. "Defence is so much fun though, it's tough," Byfuglien said to the Winnipeg Sun's Ken Wiebe. "I've got a job to do and I'm just here to go work and do what I do." There are lots of exceptional forwards who drop back to play defence on the power-play. Evgeni Malkin is probably the most prolific forward to do so, and he seems to enjoy it. Dustin Byfuglien is also a forward - at least by Paul Maurice's word - but will play the blue line on the power-play as well. "I think it's more fun when he says he'd rather play defence, isn't it?" Maurice said, smiling. "This is one of the great personalities in the game right now. I hope he's still firing that out. It wouldn't be Buff. But he's playing forward." Byfuglien, in his defence, did sound as if he was joking, and I'm willing to give him the benefit of the doubt. Again, he tossed in the joke when Wiebe asked him about his expectations for this season. "Um, be back on defence anytime, right away," Byfuglien stated, a sheepish grin on his face. "No, just have a good start and do what I do and bring to the table what I usually do. Provide a little bit of everything. Focus on defence first and the offence will come." I think that Byfuglien could be due for a big season based on his size and skill, but his endurance and ability to stay in shape will go a long way in determining how this season goes for the big man. As a forward, he's rarely knocked off the puck when he has it, and he often carries a couple of players with him who are trying to knock the puck away. On the power-play, there's no denying that Byfuglien is the cannon on the blue line. He has a very unique skill set, and he needs to use these tools to make himself, his linemates, and his team better. Dustin Byfuglien came into camp with a positive attitude. He looks like he's in pretty decent shape. While he's not ripped, he seems to be lighter than in previous season, but this is something we saw last year which slowly regressed to seeing Buff be heavier and less productive. 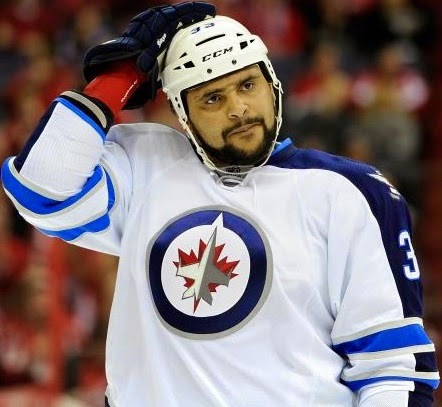 This is something the Jets will have to stay on top of this year because it seems like Dustin Byfuglien has arrived in Winnipeg with the right attitude, even if he is still joking about being a defenceman. As they say, in any joke, there is a shred of truth. Byfuglien can be an awesome defenceman, but he'll only be expected to do so when they Jets have a man-advantage. And he should excel there. There's something to be said for the old Penguins uniforms, seen to the left on Mario Lemieux in the 1992 Stanley Cup Final. For years, the Penguins were mired in futility in these uniforms until they put it all together in 1991, winning their first Stanley Cup. They followed that up in 1992 with a repeat performance, and then went ahead and ditched their familiar jersey and logo altogether. If there were dark days ahead - and there were - this was the setting of sun on that possible dynasty. The Penguins would suffer some heartbreaking defeats in those coming years and would find themselves in the cellar of the NHL occasionally as they worked through the next decade. Indeed, the loss of their identity that people loved so dearly was the turning point. After returning to the Skating Penguin logo, the Penguins won another Stanley Cup after missing out in the previous season. There is clearly something about the Skating Penguin that sets things right with this franchise. Fans of the Penguins still lamented the fact that the Penguins used Vegas gold in their color scheme, though. The three Pittsburgh-based pro teams were all wearing the same shades of black-and-yellow for the longest time, but the Penguins changed all that up with Vegas gold. Well, not anymore, readers! 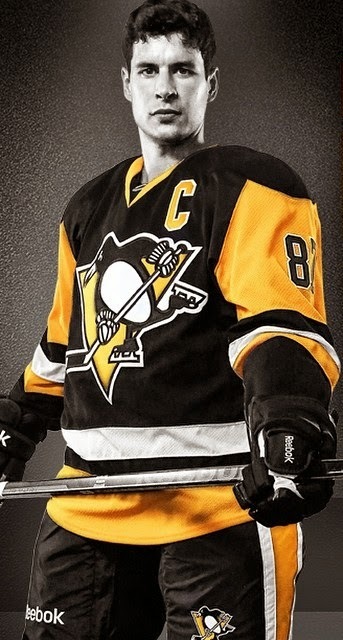 As you can see to the right, the Penguins will wear their old colors as an alternate jersey, and they look magnificent! I don't even have to break this down for you because I will fully admit that I am a fan of this alternate, and will gladly start a petition for the Penguins to make this their home jersey going forward if need be! These uniforms are what the Penguins should have been wearing all along. While they have had great success recently, the Stanley Cup has eluded them once more. We talk about the "Hockey Gods" appreciating when players and/or teams do things the right way, so this move to bring back Pittsburgh's quintessential look should please the Hockey Gods immensely. Will it bring another Stanley Cup? That will be determined this season. I believe we are nostalgic for what we remember fondly. 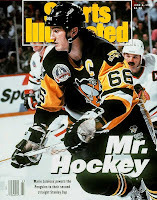 The Penguins, in the early-1990s, were a dominant team, and we long for those memories again when players like Lemieux, Jagr, Francis, Stevens, Tocchet, Coffey, Murphy, and Samuelsson were leading the Penguins to new heights. We remember these good times, and it makes us feel good. Changing what we know to be good is usually met with resistance, so when we see our heroes changing their colors, we don't take kindly to it. Fans reacted in outrage when it was announced that Wonder Woman's costume had changed. People don't react well when radical changes are made, replacing the icons they know, respected, and trusted. The Penguins developed a new logo - "Robo-Penguin" as it is often called - and people reacted poorly. They wanted it gone, they demanded the Skating Penguins back, and they got what they had been calling for once Mario Lemieux took over the team. Today, a color faux-pas has been corrected in a big way as the Penguins brought back the exact look of their jerseys from the early-1990s. They look fantastic, and they feel right once more. I've always been a Penguins fan, but I've never been prouder than I am right now. This alternate uniform is a thing of beauty. Now only if they could use it full-time at home, I'd be a happy man. The Hockey Show, Canada's only campus-produced hockey radio show, is a little late with this preview today as I've been trying to lock down a guest we were supposed to have on the show tonight. Unfortunately, it appears that fell through, so we'll be going back to chatting about hockey and all the stories surrounding it rather than learning about someone who we thought would be a great person to meet. We'll continue to work with this individual to see if we can have him on for a future episode, but we'll do our hockey thing this week instead. We'll dive into looking at the ESPN report published today that ranks all the teams of the four professional sports leagues over a number of criteria. It's an interesting list because of the criteria used. For example, one of the categories is "Bang for the Buck" which is defined as "Wins in the past year, per fan dollars". We'll bounce through the list as we look at specific teams and discuss why they placed where they did. Surprisingly, there were a lot of hockey teams in the top-fifteen teams, and it surprised me that the American public in these major cities seem to like hockey more than other sports. Kudos to those franchises, and we'll talk about that tonight. We'll also spend some time talking about the Ryan Johansen situation in Columbus, Kevin Cheveldayoff's interview with TSN's Bob McKenzie and what we saw in that, the Winnipeg Jets holding their first annual Fan Fest at MTS Centre on Saturday, September 20, and much more. We're also going to waive the 3 Rounds Deep segment tonight since we were preparing for an interview. Or maybe we'll toss it in. The only way you'll know is by listening! Ryan Johansen had himself a pretty great season last year. He led the Columbus Blue Jackets in goals and scoring with 33 goals and 63 points, respectively. He was part of a resurgence in Columbus where fans flocked back to the arena to see the Blue Jackets make the playoffs, win their first playoff game in history, and put a scare into the Pittsburgh Penguins. Again, Johansen was a big part of all those things happening. So when Johansen's entry-level contract ran out this summer, it was expected he would be re-signed without much trouble. Instead, we've got a Hatfield-McCoy style battle brewing in Ohio as the Blue Jackets and Johansen's camp are nowhere near each other's offers for a new deal. Make no mistake in what's happening here: the Blue Jackets are asking the question of "was this one good season" while Johansen's camp is saying "the start of many good seasons". In the NHL's "what have you done for me lately" mind, the Blue Jackets are taking the sane approach in asking for a reasonable bridge deal similar to those of PK Subban and Matt Duchene. In other words, "do it again, and we'll reward you". After all, in 107 NHL games prior to last season, Johansen had just 14 goals and 33 points over those two seasons. First off, Johansen has matured physically. He looked like he owned the ice some nights last season, and it understandable that he carries a lot of confidence in himself going into this season. The 6'3" forward has grown into his frame as he now stands around 220 lbs. as opposed to the 190 lbs. he started with in 2011. He's a big man in a big man's game, and he showed that he is ready for the challenge of playing that game last season. That's a credit to both sides: the training staff got him ready for the NHL game, and Johansen bought into the regiment in becoming a solid NHL player. However, those previous two seasons still linger in the minds of Jarmo Kekalainen and John Davidson, the men holding the money. While Johansen exploded onto the scene last season, there's no guarantee the same thing will happen this season. Or future seasons. There are many examples of this in the NHL, and the one most similar is that of Dustin Penner. Granted, Penner had a decent season in Anaheim last year, but he was missing-in-action most other nights since 2010. For a man asking for a lot of money like Johansen, it's a mistake that neither Kekalainen nor Davidson want to make. "It makes no sense," Davidson told The Hockey News' Ken Campbell. "When you see numbers that are thrown at us, we shouldn't even respond. That's how bad it is. It's embarrassing. And if the kid sits out, he sits out. I wonder if the agent's going to pay him his money back that he's going to lose by sitting out. 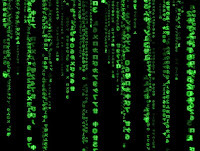 "With the numbers they come back with... are so one-sided it's nonsensical. It's extortion is what it is. I don't make this stuff up. I've been in this league doing this for a long time now and this one here, it's baffling is what it is. This one's baffling. Baffling." Davidson, for what it's worth, has been around a long time in the NHL. He played, he managed, he's been president for a couple of clubs. If he's insulted by the offers made by the Johansen camp - in particular, agent Kurt Overhardt - then you know that this is only going to end when either the player swallows his pride and accept the bridge offer or the club realizes it's missing a big piece of its success from last season. Judging from Davidson's comments, the Blue Jackets probably will absorb a few losses in the standings rather than absorbing losses on the bottom line if Johansen regresses. The chasm between the two sides is huge when it comes to the money. Reportedly, the Jackets softened a little today when they offered Johansen $6 million over 2 years, $32 million over 6 years, and $46 million over 8 years. Once again, the Johansen camp rejected all the offers. Davidson made the comparisons of his player to other players to Campbell. "He's a good guy and he's a good player, but you can't sit here and have the Stamkos and the Toews and the Kane deals thrown at us," Davidson said. 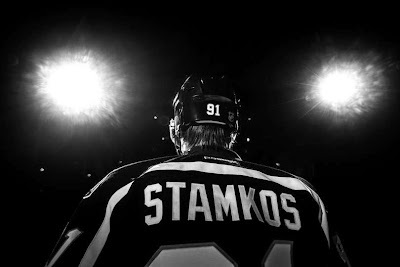 "He's a good player, but he's not Stamkos and he's not Toews and he's not Kane, at least not yet. He's not." And therein lies the rub. The Blue Jackets sound like they'd be more than willing to pay the big dollars to Johansen if they had some sort of repeat performances of last season. That hasn't happened yet. That's why the Blue Jackets aren't offering big money, and why they feel that Johansen's camp is edging towards insanity with their numbers. This isn't rocket science by any means, and this negotiations aren't personal in their nature. However, as both sides go longer without a deal, it starting to become personal. The Blue Jackets want their dynamic, young scoring threat in the lineup. Johansen wants to be paid for his results. What would be smart for Johansen to do is accept the bridge contract, hit the ice and dominate, and then come back for more. It's an easy solution if Johansen's camp would relent for one or two seasons. Take less now for a lot more later. In other words, prove that you're worth Toews or Kane or Stamkos money in Columbus. 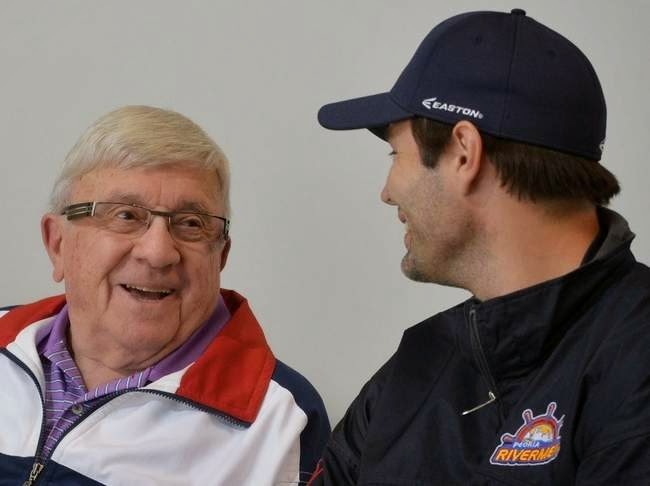 Bruce Saurs, the longtime owner of the Peoria Rivermen, passed away on July 10 at the age of 88. Mr. Saurs purchased the franchise on July 1, 1989 after the team suffered a $1 million loss as an IHL team, and he never looked to sell from that point on. There were highs and lows in the history of the Rivermen, but the one constant was in the owner's box as Mr. Saurs never once considered selling the franchise he rescued. He was an icon in a city whose hockey franchise put it on the map. Losing Mr. Saurs affected the community, the players, and the staff that had seen the owner bring championships to the Illinois city. Under Mr. Saurs' watch, the Rivermen posted a pro hockey record 18-game winning streak in 1990-91, won the 1991 Turner Cup, and he facilitated a deal to be the St. Louis Blues' primary and exclusive farm team - the first such deal for an IHL team. He was a pioneer in the minor-pro hockey scene, and his legacy will not be forgotten in Peoria. 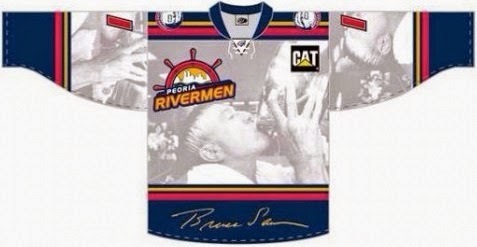 To honour the man who kept hockey in Peoria through the IHL, the ECHL, and the SPHL, the Rivermen will hold "Bruce Saurs Hockey Weekend in Peoria" on the opening weekend of the SPHL season on October 24 and 25 against the Huntsville Havoc. The Rivermen will wear special jerseys to honour Mr. Saurs, and they will look like the following image. Now, you might be looking at that sublimated image on the uniform and asking, "Who is that?" That image is the Peoria Journal Star's picture of Saurs drinking from the IHL's Turner Cup during the 1990-91 season. That's a great memory to immortalize when speaking of Mr. Saurs, but I'm not entirely sure it should be worn on a jersey. That just seems a little creepy to me. There's no doubt that without Mr. Saurs' vision and dedication to the Rivermen that this franchise may not even exist today. He legitimately deserves to be remembered for his legacy in the city of Peoria. However, this memorial jersey seems a little tacky. I don't know - maybe I'm way off on this one. Maybe this is an appropriate memorial for the man who kept professional hockey alive in Peoria. Maybe this is the best way for a man who loved the game to be remembered by the players and fans who loved the team he kept in Peoria. Maybe I just don't know what is appropriate when honouring the memory of a man who did so much for his community. Personally, auctioning off these uniforms after the game is nice, but the gesture would be so much greater if the team had decided to give a portion of the proceeds to Mr. Saurs' favorite charity. However, that's not mentioned in the press release, so the team is profiting directly off Mr. Saurs' passing. Sorry, but that is simply wrong to me. Some may say it's the last act of giving to the team he loved so dearly, but it just comes off as wrong in so many ways. Rest in peace, Mr. Saurs. You were a dedicated hockey man who gave a community professional hockey when it appeared that they were going to lose their team. No one will forget your contributions, but it seems like you deserve more from the team to which you dedicated your life.